...and you complete the heart of me. It's a Time for Mom linkup! Summer time is such a special season for me. For most of my life I have lived just a little over an hour from the beach, and if you could somehow hold my heart up to your ear, you might hear the roar of the ocean. Summer isn't just about the ocean. It's also about the neighborhood pool and water ice and staying out as late as the daylight lasts. I am twenty-nine thirty-seven and I still delight in seeing the last of the sun clinging to the sky at nearly 9pm. I'm not a kid anymore. I'm a mom now, and although I didn't think it could be possible, summer holds even more magic and fun as I experience it with my son. 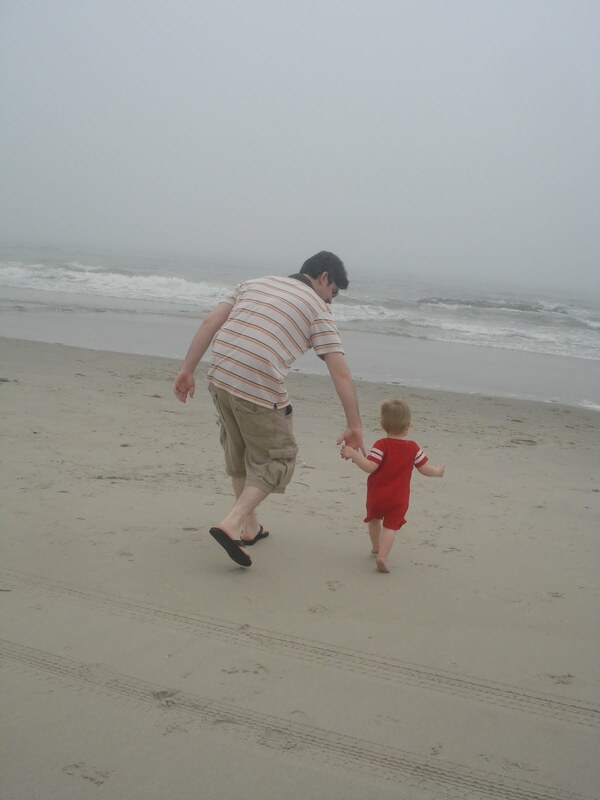 From the first moment we put his toes in the ocean, PJ fell into a deep, meaningful love with all things summer. There are some things for PJ still to learn- the euphoria or counting down the last second of the Adult Swim and leaping into the pool; spontaneous ice cream because Mr. Softee happened to come by, catching the truck after you sprinted outside because you heard the faintest strains of the jingle; sitting outside with the other neighborhood kids until you're called in at dusk. But even with all of that to learn, PJ already knows how to slurp every last sip from summers overflowing cup of joy. When he was diagnosed with Autism, we didn't know if that would be possible. 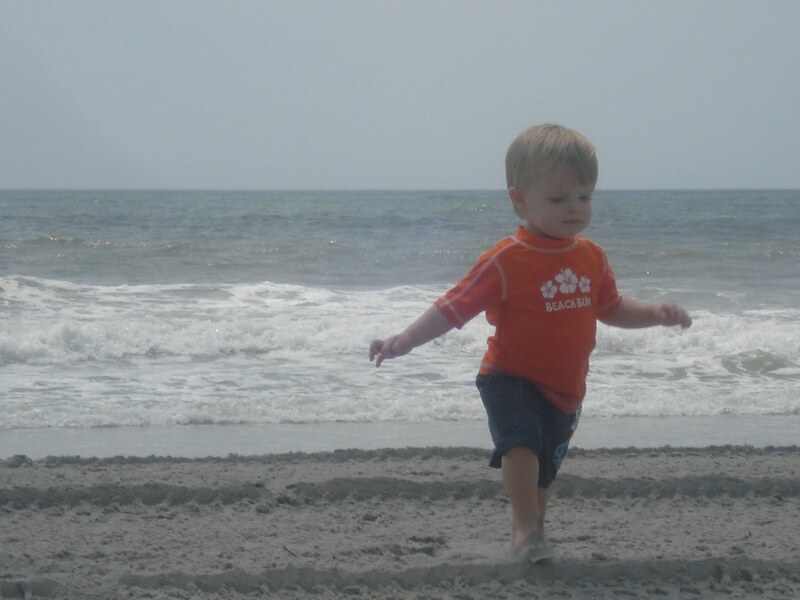 We didn't know if he would have enough awareness of the world to smile at the sound of the waves, or shriek with delight as he splashed in the pool, or laugh his head off when he throws wet sand at Mommy. His father and I didn't know that, on the day he first laid eyes on the Atlantic, he would drag us across the beach with no fear or hesitation, determined to touch the wild water. When PJ can't have the ocean, he can make do with a blow-up pool, 10 inches of water, and a rigged-up "water slide" that is just a Fisher Price toy placed in the pool. We create our own water park in the shade of our trees and with snacks from the fridge just steps away. And, before he gave them up, a paci if needed. And when there's no water, we can still bathe in the amazing, golden light of a summer evening with friends. It's the kind of light that doesn't need a fancy camera- you can just point your phone at it and capture all of its loveliness. It's another nod to the beauty of New Jersey (yeah, I said it.) and something I try to remember when I complain about property taxes. Summer with my son is one of the greatest joys I have ever known. Not even summer school, not even humidity, not even Autism could steal our summer from us. I am so excited to watch PJ grow and learn and make that first gleeful Adult-Swim-is-over countdown with friends, and hold the summers we have had like treasures. Onto the Time for Mom Link Up! 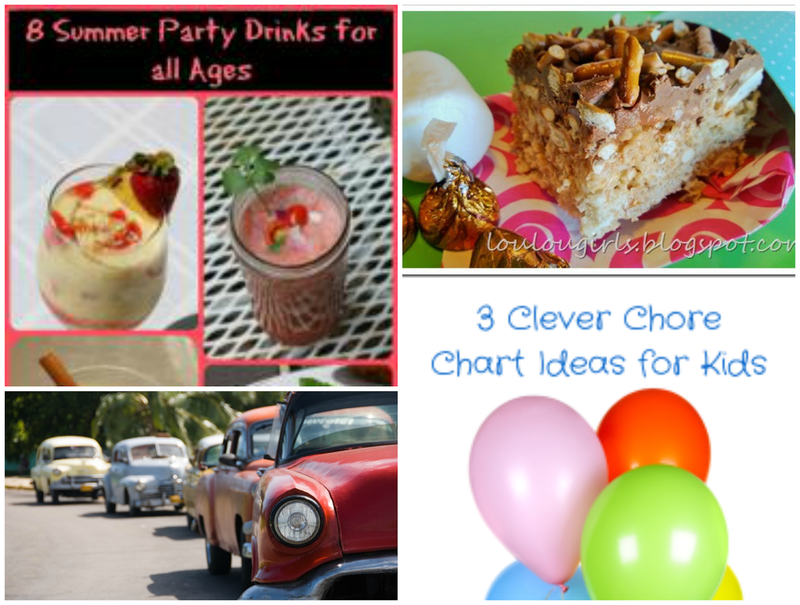 If you are a mom, and you blog, this link up is for you! All kinds of posts are welcome! Do you love linking up with us? Tweet about it & help spread the word! 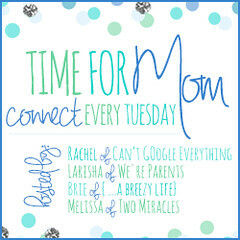 Time for Mom is a place for mom bloggers to link up and connect with other mom bloggers! You do not have to link up a post about parenting only, your post can be about anything as long as you're a mom! We only ask that it is today's post or a recent one, and that you don't link up the same post each week. Please remember to check out a few others in the hop! It's no fun to link and run! We have each picked a blog post from last week to feature! Please add our button to your page to help spread the word about Time for Mom! Thanks for linking up! By linking up with us you are opting in to our weekly email reminder for this hop and giving us permission to use an image from your blog if chosen for our weekly featured posts. We will always link back to your post when we use your image when we feature you!